Vassilis was born in Athens in 1979 and has spent his childhood in Piraeus and Rhodes. At the age of 13, he began guitar lessons and music theory at the Hellenic Conservatory; soon after he started self-studying and practicing with various traditional musical instruments (mostly strings), while at the same time he began to make his first attempts at composing music. After graduating from the Hellenic Lyceum with a distinction, he was accepted at the renowned School of Music of the Royal Holloway, University of London. During his studies, he specialized in composition and analysis. In June 1999 he graduated Bachelor of Music (Honours). During his studies at the Royal Holloway, he attended classic guitar lessons with Mr. Michael Lewin, Head of the Guitar School at the Royal Academy of Music. He was then offered a place at the Royal College of Music (London) for the Master’s degree in Composition. His instructor was Prof. Joseph Horovitz. He graduated from the Royal College of Music in 2000 receiving a Master’s degree in Composition for Screen. Vassilis is a holder of: (a) Degree in Fuga with a unanimous distinction excellent 10, (b) Degree in Counterpoint and an overall mark of excellent 10, (c) Degree in Harmony with a unanimous distinction excellent 10, (d) Degree in classic guitar with an overall mark of 9.5, Distinction; all of them awarded by the Hellenic Conservatory of Athens. In July 1998, he participated in the “Umbria Jazz Clinics” of the 13th annual Berklee Summer School at Umbria in Perugia, Italy (Certificate of Completion). Having completed his university studies in England, he spent three months in Almeria (Andalusia, Spain) where he attended guitar flamenco lessons with Jose Contreras. In March 2001, Vassilis returns to his homeland to serve his country in the Hellenic Army. During his military service, he participates in the Band of the army playing different musical instruments (guitar, electric Bass, bouzouki). In July 2002 he completed his military service. One month later he decides to travel up to Seville, Spain, in order to attend guitar flamenco classes at the Taller Flamenco School (Certificado de guitarra flamenca). In October 2002, he participates in the 1st National Contest in Composition through computers in Greece; he gets awarded a first prize, a second prize and an advanced distinction. This contest, apart from the various awards offered, also granted him a two-year scholarship. In March 2003, the Cultural Organization of the Municipality of Rhodes organized his first personal concert with songs and instrumental music, which was held at the National Theatre of Rhodes. An orchestra consisted of 8 members and three singers performed a total of 28 pieces. This concert raised excellent comments and also left the best impressions to his audience. Since April of that same year Vassilis had permanently moved to Athens, creating a home studio for his needs and begun his professional career. In the summer of 2003, he begins his collaboration with the singer Kaliope Vetta and the composer Giannis Ioannou as a guitarist in different concerts and appearances throughout Greece. On the 15th of May 2004, the Musical, Pedagogical and Spiritual Association “Apollon” and the Hellenic Conservatory (branch of Rhodes) organized a concert with his work in the medieval church of “Panagia tou Kastrou” in the Old Town of Rhodes. In this concert 15 songs were performed, raising once again excellent comments. In the composition contest for nursery rhymes, “Arsi Fonon 2004”, organized by the “Orchestra of Colours”, his composition “paidiko” was awarded and presented amongst others in two concerts, held at the Music Hall of Athens (Megaron) on the 7th and 8th of September. The event had been carried out in the context of the organization committee’s cultural program for the period of the Paralympics, during the Olympic Games “Athens 2004”. In November of that same year, he receives the second prize in the "Remixes" category at the Pan-Hellenic music contest "Makemusic Contest 2004". From October 2004 until August 2005 he performed with Giannis Haroulis in many appearances and concerts all over the country. From June 2005 he starts working with Manolis Lidakis as the guitarist and the arranger/conductor of his orchestra. The orchestra has given many concerts all over Greece, including two concerts in the Music Hall in Athens. Vassilis performed as a guitarist during the recordings of Manolis Lidakis’ album “Kokkino akrogiali” and he was also responsible for the direction/arrangement of the orchestra in collaboration with Thimios Papadopoulos. He later on participated in Lidakis’ album “Afstiros Laekon” playing the guitars. In September 2005 Vassilis begins his collaboration with Nikos Xydakis, who included two of Vassilis’ compositions and two adaptations of traditional songs for classical guitar in his album “Imerologio Deftero” (2006). Furthermore, Vassilis arranged and played the guitars in one of Xydakis’ songs, “To telefteo taksidi “, which was sang by Elefteria Arvanitaki. Since November 2005 Vassilis also starts performing with Christos Tsiamoulis and his band, giving concerts throughout Greece and being accompanied in many of their appearances by the singer Sophia Papazoglou. Later on, he arranges Nikos Xydakis' freeform musical synthesis “Laments of women-Sophocles’ heroines¨, a Hellenic Festival production presented at the Little Theatre of Ancient Epidaurus on the 21st and 22nd of July 2006. Music: Nikos Xydakis, Texts: Dionysis Kapsalis, Orchestration: Vassilis Ketentzoglou, Conductor: Nikos Platyrachos. With the Kamerata – “Friends of Music” Orchestra and the soloists: Dimitris Chountis-saxophone, Panos Dimitrakopoulos-kanonaki, Vassilis Ketentzoglou-guitar, Kostas Tsioulakis-piano. With Eleftheria Arvanitaki, Olia Lazaridou, Aneza Papadopoulou, Lydia Fotopoulou. 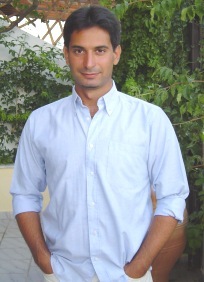 During the summer period of 2006, Vassilis made several appearances with Manolis Lidakis, Manolis Lidakis and Marios Fragoulis, Nikos Xydakis, Christos Tsiamoulis. After that, Vassilis orchestrated the composer’s Nikos Xydakis album “Grigora i ora perase“ (the time passed quickly), featuring the performer Eleftheria Arvanitaki and the composer himself. The album was released in October 2006 and soon became gold. Many music critics considered it as the best album of the year in Greece. Poetry: Sappho-Odysseas Elytis, Evripides-KX Myris, Dionysis Kapsalis, Kostas Kariotakis. Vassilis, apart from the orchestration, also played the guitars in all of the tracks. In November of the same year, he performed with an orchestra and the singer Fotini Darra in Tokyo within the context of the culture exchange project EU - Japan, organized by the Greek Ministry of Culture. During the winter period of 2006-07, he performs with the singer Sofia Papazoglou and the accordionist Dasho Kurti, making appearances in Athens, Thessalonica and other cities. In January 2007 he becomes a member of the accordionist’s and composer’s Dasho Kurti group, making appearances in Athens and Thessalonica. From April 2007 he begins collaborating with Giorgos Dalaras as the guitarist of his 10-member orchestra, accompanying him in the European Tour 2007 (11 great European cities). Melina Aslanidou and Michalis Tzouganakis were Giorgos Dalaras’ guest singers. During the summer period of 2007, Vassilis made several appearances with Manolis Lidakis, Christos Tsiamoulis and Giorgos Dalaras (Festival of Patras, three concerts in Israel, a concert organized by the UNESCO in Paris). During the winter period of 2007-08, he participates with Giorgos Dalaras’ 14-member orchestra in the performance “All from the beginning”, which was presented at the Pallas theatre in Athens. In January 2008 he made appearances with Sofia Papazoglou, Dasho Kurti and Apostolis Vagelakis in Alavastro, Athens. In February he also made appearances with “erima choria” group and guest singers S. Papazoglou , Z. Karounis, M. Tzouganakis, A. Stratigou, A. Karakotas, M. Aslanidou, T. Mpourmas in Avlea, Athens. On the 15th and 16th of the same month he made appearances with Christos Tsiamoulis, Halil Karadouman, Sokratis Sinopoulos and Manousos Klapakis in Avlea, Athens. In February of the same year, he performs with Giorgos Dalaras’ 13-member orchestra in a performance dedicated to Rebetiko with the title «like an enchanted song», which was presented at the Megaron-Athens Music Hall (for nine appearances 11-21/2/08). On the 10th and 11th of Μay, he performs with Giorgos Dalaras’ 13-member orchestra in a performance dedicated to Rebetiko with the title «like an enchanted song», which was presented at the Megaron-Thessalonica Music Hall. He has collaborated (chronologically) as a guitarist, arranger, composer and conductor with: Kaliope Vetta, Giannis Ioannou, Giannis Charoulis, Manolis Lidakis, Nikos Xydakis, Manolis Mitsias, Christos Tsiamoulis, Sofia Papazoglou, Elefteria Arvanitaki, Kamerata orchestra, Marios Fragoulis, Fotini Darra, Andreas Karakotas, Giorgos Dalaras, Melina Aslanidou, Michalis Tzouganakis, Nana Mpinopoulou, Maria Louka, R. Christidou, Ζ. Κarounis, Α. Stratigou, D. Olympiou, Glykeria, Κ. Κoullia, etc. He has performed with various orchestras in Megaron-Athens Music Hall, Megaron-Τhessalonika Music Hall, Erodus Atticus Theater, Little Theatre of Ancient Epidaurus, Ancient Theatre of Patras, and Ancient Theatre of Paphos. He has appeared also in many concerts and festivals all around Greece as well as in the following countries: England, Austria, Belgium, France, Germany, Switzerland, Japan, Spain, Cyprus, Holland, Hungary and Israel. He has an excellent relation with informatics and the new technologies in music and he speaks English and Spanish. For more information concerning collaborations, participations in the discography, recordings etc refer to the appropriate pages.